Give Your Readers/Followers An Amazing Opportunity To Build Their Own Six Figure Resale Rights Business And Earn Up To $148.50 Per Sale! 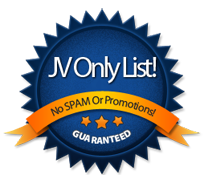 Hi there JVs and Affiliates! Since 2005 I've been creating and selling resale rights products. It's a great business model that's super easy to create, and has made me a lot of money. Now I want to share how to do it with others via a LIVE 3 week coaching program. In this coaching program I'll be showing your customer how to create their own resale rights product, how to create and launch a package of resale rights products, how to create their own resale rights membership, and then spend a year with them growing their resale rights business into a six-figure business using all the advanced tactics that I teach them. Everything is included in this coaching program... Your customers get to watch me live, get one-on-one help when they need it, and have any support they need from me while growing their resale rights business into a six figure business. I'm going above and beyond for your customers with this coaching program. To see the entire offer and everything your customers will get you can view the sales page by clicking here. I'm paying 50% instant commissions on this offer and you can make up to $148.50 per sale (minus fees). You can get your affiliate link below, along with affiliate tools! Get On The Launch Updates List! This is an amazing offer at an amazing price. I've launched it before and it sold VERY well (65 attendees) and I know it will again! Your followers are safe with me! I take good care of my customers and I'll take good care of yours too! You'll make BIG instant commissions to your PayPal account. Since this is a higher ticket product you make more money per sale! Many people are looking for easy to run online businesses. This is one of them, and you're people will love you for telling them about it! I reciprocate! When you help me out on my launches I help you out on yours! Emails: Use these emails to send to your list! SUBJECT: Six Figure Reseller Academy Is Live! I’ve got something pretty exciting to share with you today! Since 2005 Liz has been creating and making a killing from easy to create resale rights products. She’s built a complete six-figure a year business around this, and now she’s going to show you exactly how you can do it too! * How she takes PLR content and turns them into resale rights products that people WANT to buy. * How she takes multiples of these products, create resale rights packages, and does big launches for BIG pay-days. * How she creates a monthly income by having a resale rights membership site. * How she use resale rights products that she creates to build huge lists of buyers. * How she outsources a ton of the day-to-day activities of running a resale rights business. * How she created a passive income-stream of almost $2000-a month that she does absolutely no work to keep profits-coming in! * How she uses affiliate marketing in her resale rights business for what she calls “gravy money” (it’s just a bunch of EXTRA money)! * And a ton more… Then make sure you grab your spot in this LIVE coaching program right now! There are only 50 spots for this program and for the next few days she’s slashed the price by $700 so be quick and grab your spot. SUBJECT: Resale Rights Creator Reveals All! I’m going to keep this as short as possible because the buzz about Six Figure Reseller Academy has been going on for days now and there’s only 50 spots available. Liz Tomey has created hundreds of resale rights products since 2005, and has made a killing-doing so, and now she’s going to teach YOU how to do it too! I absolutely LOVE this business model because of how easy it is. I mean basically you take PLR that you have or that you can get for super-cheap, turn it into new BETTER products, and sell the crap out of it to others who want their own products. There’s such a demand for people to have their own products that you creating products for them is a brain dead simple way to build an AWESOME business. Of course there are a lot of other things built into it that allow you to make-money, but just at it’s core this is super duper-profitable! Heck for over a decade now Liz has been doing it, and it’s STILL making her-money to this day! If you’d like to know how to create and sell your own resale rights products, create a membership that gives you a monthly-income, build a huge list of buyers you can profit-from over and over again, then make sure you get your spot in the Six Figure Reseller Academy! Liz will be showing you LIVE how to create your very own six-fgure resale rights business! There is no other program, product, or anything like this out there! This is your chance to get a REAL person who walks the walk and talks the talk personally helping you build a real six-figure online business! As I said… There are only 50 spots left and for the next 5 days only you can save 70% off the regular price to get into this coaching program! If you want a coach who is truly killing it with a proven system and wont quit on you until you’re killing it too then don’t miss out on this opportunity! SUBJECT: Six Figure Reseller Academy Closes Today! Just wanted to send out a really quick note so you don’t miss your chance at getting into the Six Figure Reseller Academy that I’ve been going on about! In just 6 hours from right now the doors will be closing on this opportunity and I don’t want you to miss out! Liz Tomey is doing a 3 week LIVE coaching program where she’s going to show you how to build your own six-figure resale rights business! This is a super easy business model that anyone no matter what level they’re at can learn, implement, and profit-from! … then make sure you grab you spot before this closes in just a few hours! Content: Use these content pieces on your blogs, websites, and or anywhere you're allowed to post content on the Internet. The Resale Rights/PLR Difference – What Matters? Today I want to talk about the difference between the resale rights business model and the PLR creator business model because I’ve been getting a lot of questions about it lately. When we talk about selling the rights to the product it means that we create the product, and then give someone else the right to use it. Depending on what kind of rights you give depends on what the person can do with the product. Resale rights – The purchaser of these rights can resell the product and keep 100% of the profits. They can’t edit the product, claim copyright, etc. The customers who purchase this product from the rights purchaser only gets personal use rights. Meaning they can only use it in its intended way. They cannot resell the product. Master resale rights – The purchaser of these rights can resell the product and keep 100% of the profits. They can’t edit the product, claim copyright, etc. The customers who purchase this product from the rights purchaser can use the product and also resell the product to their customers. Private label rights – The purchaser of these rights can resell the product and keep 100% of the profits. They CAN also edit the product, use it in several different ways, claim copyright, etc. Basically this is like getting a product and being able to do anything you want with it. You can even take a product with private label rights, change it up just a bit, and sell the resale/master resale rights to it. Unrestricted private label rights – The purchaser of these rights can do just about anything with the product INCLUDING reselling the private label rights to it. This is like full blown rights to do anything you want. Okay so now that you understand the difference in rights, let’s talk about the differences in being a resale rights creator and a PLR creator. PLR Product Creator – As a PLR product creator you have to create all the content for your product from scratch or pay someone to create it for you. If it’s an ebook it’s got to be all original from scratch content. If it’s software it’s got to be all original code from scratch. If it’s videos the content needs to be all original from scratch. Getting the point here? You have to create everything from scratch so that it’s YOURS and you can offer private label rights to it. Being a PLR product creator is VERY profitable and I’ve made tons of money doing it, but there’s an easier way to make just as much money! Resale Rights Product Creator – As a resale rights product creator you CAN create all the content yourself and just sell the resale/master resell rights to others, but an even easier way is to use PLR content you already have or can easily buy and use THAT to create your resale rights product. Resale rights – Cannot edit and can only sell as is. Depending on what you want to do will depend on which of these you will choose. If I’m just wanting to get a good product in front of my people to help them I’ll just buy resale rights. If I want to get content and turn it into my own product or use it in a different way (blog posts, bonus content, membership content, etc) then I’ll buy private label rights. There are thousands upon thousands upon thousands of online business owners out there that want both PLR products and resale rights products. Resale rights products are the easiest to create because you can use PLR content to create them! My friend Liz Tomey has created an entire coaching program called the Six Figure Reseller Coaching Program where she will be building an entire resale rights business from scratch right in front of you. You’ll see how she uses PLR content to create resale rights products, how she creates and launches resale rights packages for big time paydays, how she creates and makes money with her own resale rights membership site and so much more! NOTE: The HTML code below will display this on your website. Feel free to edit it and use any way that you want to! 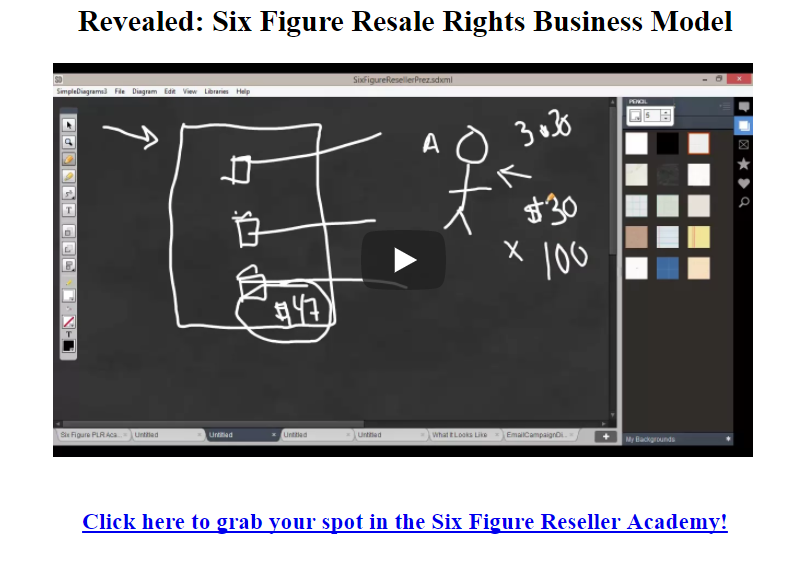 Click here to grab your spot in the Six Figure Reseller Academy! * Reciprocal mailings will only be given on quality products! We value our customers, so please understand if we don't feel your product makes our quality standards we will not promote it. But that doesn't mean we will never promote for you. If your next product meets our standards will promote it. I don't think this is going to be an issue (never has been) because we work with a bunch of awesome people.